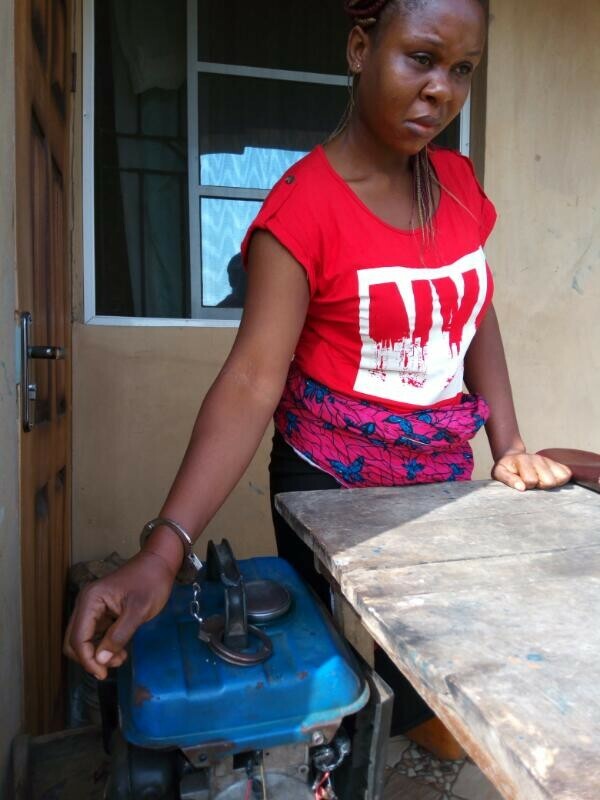 A monster of a man has been arrested in Sagamu LGA of Ogun state for domestic violence. 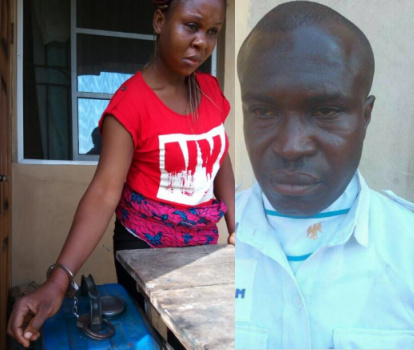 The 37-year-old suspect identified as Ifeanyi Ajaero reportedly chained his beautiful wife 28-year-old Obiageli to the family generator set from night till morning. She was rescued when she alerted neighbours in the morning of Friday the 14th of Apri 2017. 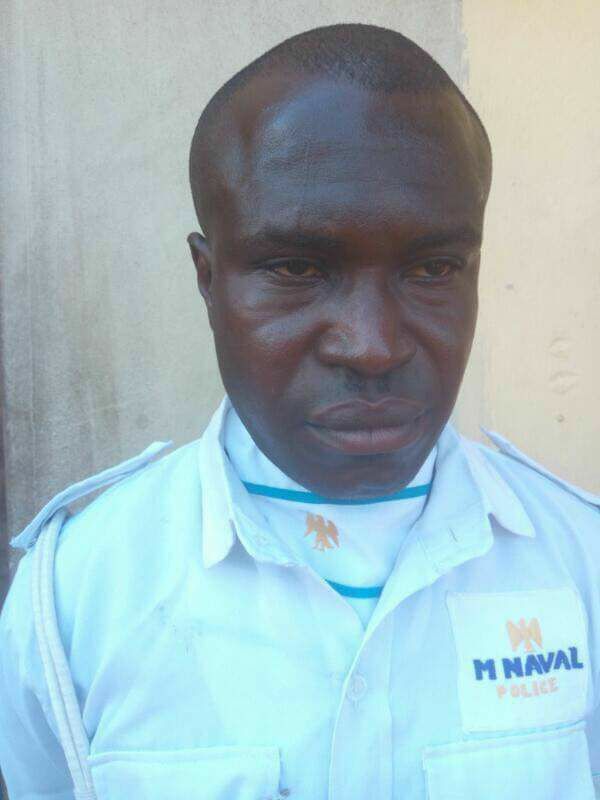 Obiageli was rescued by Ogun State Police Command officials who used force to break the gate of their home. According to police report, She was so weak when she was rescued as a result of serious beaten she received from the wicked husband, a dismissed merchant navy. The incident happened at Ewooluwo area of Sagamu. The suspect has been transferred to SIID for investigations. People should understand that what leads to the action is irrelevant when it comes to marriage issues, it’s not a game/match that the winner will be congratulated at last..it’s a team work as both shall be congratulated for raising their Children or living in harmony. In this matter,this man will come up with so many reasons that leads to his action,and in fairness,those reasons maybe true and so annoying,but at last,his solution is inhumane and need to be condemned irrespective of the cause. Love and Peace will always rule,without them,life is meaningless. This woman u no dey fear fear, me way be man that man him face dey fear me pass devil na it way you go marry him, what do you expect before, love? No na beating upon beating, anyways sorry sha. Ugly beast, chai love is blind ooo. The man BIG HEAD will be the major problem. Belief me the size of the HEAD will be disturbing the man once in while. My people, this LADY deserve a clean hand that will match her beauty. Is this for real. Please tell me it’s a nollywood rehearsal. Is this for real. Please tell me this is a nollywood rehearsal. raise your voice for igbo to leave Nigeria perhaps to embrace Biafra. Inhaling generator fumes they say, is injurious to the body so I hope she will be okay. After this wicked action the man will still expect her to call him “My Husband” in a tender voice. God dey ooo !!! Killer husband. He should serve 5 years in jail. Apart from inhaling the dangerous fumes all night, what if the generator had exploded? These heinous acts don’t escalate in just one day. Women, run for your dear lives at the earliest signs of domestic abuse. Even animals deserve better treatment. That is why a woman must build up her career before getting married. The fear of how to survive without the husband keeps women in a hopeless marriage. I wish Obiageli the best for her future.